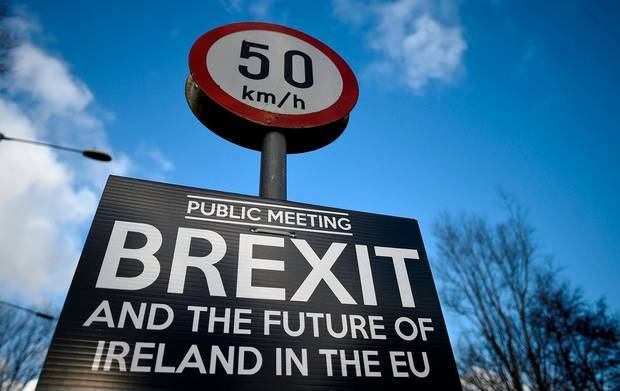 February 2019 Sense will prevail and there will be a deal to avoid a cliff-edge Brexit at the end of March, Gareth Hagan believes. But then again, who would trust an expert? It was experts with their inconvenient facts that raised the ire of Brexiteers before the referendum, a sentiment which helped to swing populist sentiment away from the European Union. In the intervening period the narrative promulgated by Brexiteers in the lead up to the vote has collided with reality. Mr Hagan is a director with OCO Global, a Belfast-based trade and investment consultancy firm that has just opened an office in Dublin. He is an expert in trade and the challenges that companies face in the post-Brexit environment. The biggest problem at the moment is discerning the direction of travel. The UK is scheduled to leave on March 29 and as yet the two sides have not ratified a withdrawal agreement. If there is no withdrawal agreement there is no transition period, which means that the UK will crash out of the bloc that it has been a member of for the past 46 years. Mr Hagan says that on balance is it unlikely that there will be a no-deal Brexit. “I don’t think that is going to happen,” he says. “It is in nobody’s interest for that to happen. Look at the details emerging of potential civil unrest and what could happen around ports.” There has been a drip-feed of leaked British government reports over the past few weeks which lays bare the consequences of a no-deal Brexit. These include drafting in the army to contain potential civil unrest if there are food shortages and warning of potential gridlock at ports. Mr Hagan says that ultimately the British government will not make a decision that could affect its food security. Mr Hagan, who is originally from Derry and has a degree in engineering from the University of Edinburgh, says that over the transition period the future trading relationship between the UK and the EU will become much clearer, and that will help companies prepare for the post-Brexit landscape. “When this moves out from the political to the practical I think that is when real progress will be made,” he says. Brexit talks are logjammed over the proposed backstop for the Irish border. The backstop, under present proposals , would require Northern Ireland to remain in the customs union and remain aligned to the single market if Brussels and London fail to agree a future trade deal. The DUP, which is propping up Theresa May’s minority government, is implacably opposed to the backstop and wants it removed from the withdrawal agreement in return for its support in a crucial House of Commons vote next week. The DUP is backed by up to 50 Eurosceptic MPs in the Conservative Party. “There is an alternative to a backstop, which is to engage properly in a solution,” Mr Hagan says. “Fundamentally, what started as a political argument about the backstop, people now realise that a solution is not straightforward.” Brexiteers propose a technological solution for the border. The problem is that they have failed to cite an example from anywhere around the world that would pass the tests set by the EU and Irish government for a seamless border. Mrs May has spent the past few months trying to placate hardline Brexiteers. “It is hard to see a way forward unless there is compromise on one or both sides,” Mr Hagan says. Supporters of Brexit at all costs are opposed to any future deal that would involve membership of the customs union or an alignment to the single market on the basis that this would limit Britain’s ability to strike lucrative trade deals with the rest of the world. “I think they [Brexiteers] are confusing two things there,” Mr Hagan says. “If you look at UK Plc what’s the first thing you do, you protect what you have. The EU is the most significant market that British companies have. From a business point of view you would want to shore up those arrangements before you start looking elsewhere. “There is a view among Brexiteers that the UK is being held back by being in the EU. Look at the announcement of the EU-Japan trade deal last week that the UK will benefit for all of 57 days. Unless you can prove you can do better than this, there is no upside to Brexit. The sense that there is trade deals better than the customs union, that is brinkmanship in the extreme and unproven,” he adds. Another argument of the Brexiteers is that there is no need for a backstop because Britain will not impose any tariffs and therefore there will be no need for customs checks along the border. If Britain leaves with no-deal, it will default to World Trade Organisation (WTO) rules. “It is inconceivable that the UK will operate outside those tariffs and those rules. I have heard this argument before,” Mr Hagan says. “That is not really the way the global system is designed to work. It is a two way system. I think that is naive and not a position that has any credibility. There are rules of the game.” OCO Global has about 100 employees. As well as its offices in Belfast and Dublin, it has others in London, Paris, Frankfurt, New York and Tokyo. There are six employees in Dublin but the hope is to double the headcount in the short term. Among its clients are Britain’s Department for International Trade, Scottish Development International, Enterprise Ireland, Invest Northern Ireland; Saudi Arabian General Investment Authority, EY, Santander, Japan External Trade Organisation, PWC and Mintel. “We are working with a number of businesses across the UK, Europe, Northern Ireland and increasingly in the Republic on the implications of what is happening and how to prepare for it. What it means in terms of taxation, tariffs, customs and looking at both sides — if there is a deal and no deal. He says that companies are starting to act on Brexit. “They are looking at the nuts and bolts of leaving. The level of preparedness is less than where it needs to be. “In the 12 months after the referendum, companies engaged, but the longer the process went on, that drifted. I think a certain amount of apathy set in because of the level of uncertainty. Also because the possibility of a no-deal was being talked down so much, companies dismissed the prospect of a no-deal scenario. That created a certain amount of complacency. “I’m still of the view that it is more likely that there will be a deal rather than no deal. The precise time of that and nature of it will be under the spotlight for the next few weeks.” How companies should react to Brexit depends on which side of the border they are located, he says. For example the UK is the biggest export market for Northern Ireland. “If it becomes harder for EU companies to export into UK, then that presents an opportunity for companies in Northern Ireland to fill the gaps in that supply chain. For Ireland there are big opportunities in the eurozone. When we talk to companies we look at diversification.” He says the vast bulk of companies that are planning for Brexit are exporters of physical goods. There is less movement among services companies to engage in contingency planning at this stage, he adds. But one issue that is likely to affect companies in Northern Ireland and Britain after Brexit is the movement of people and the ability to access pools of talent. The level of political cohesion in the south of Ireland has been a significant advantage in getting the country Brexit ready. “In the south everybody is singing from the same hymn sheet.